We feature Schools, Colleges and Universities that offer foundation programmes that lead to degree and post graduate courses at UK Universities. These foundation courses help smooth the transition to University life in the UK. They often include courses in; English, Cultural issues and Foundation courses in specific subject areas. Post completion of a foundation programme at these institutions the option is then to apply to multiple Universities to secure a place on an undergraduate degree programme. The schools/colleges below all offer active support and advice to help students secure a place at the most suitable University for each individual. Studying a foundation programme within a school/college environment before applying to University can better suit students who are new to the UK and might prefer a smaller, school environment as their first experience of UK life, culture and education before moving on to the University of their choice. Usually situated on the University campus, there is a clear progression from the courses offered by these providers to Year 1 or Year 2 undergraduate degree courses or master programmes at these specific Universities. Often the CAS (Confirmation of Acceptance for Studies) produced will cover not only the foundation, but degree study period too, allowing for 1 Visa application to cover the entire UK study period. Studying at one of these Colleges can better suit students who are confident they wish to complete their entire degree course at 1 institution. Also, these Colleges cater for post graduate as well as undergraduate students. Bosworth College’s University Foundation Programme (UFP) is a one-year course designed for international students, intended to prepare them for the demands of undergraduate study. This is an ideal course for students who are slightly older and prefer a one-year option rather than a two-year A-level course. However, prior to application, students should know which career route they wish to follow at university. The course has a substantial academic content equivalent to A-level and students are required to sit a significant number of formal assessments, increasingly demanding. English language tuition is provided alongside academic studies. Leading UK universities are keen to recruit Bosworth foundation students with high scores in their academic and IELTS exams across a wide range of competitive degree courses, thus making Bosworth’s UFP an ideal solution for hard-working and focused international students who want to progress within one-year. We offer a unique environment where our dedicated staff aim to nurture but challenge learners to achieve their goals. Bosworth students have progressed to a wide range of universities around the UK, including: University of Manchester, University of York, University of Southampton, University of Bristol, Newcastle University and Royal Holloway, University of London. Brooke house’s University Foundation Programme (UFP) is aimed at students who wish to; top up their 12 years of high school education with a bridging year, transfer mid A level programme (or the local equivalent), enhance their A level knowledge and theory prior to beginning their under graduate programme at a university. It may also be suitable for those students who can be fast tracked to do a one year foundation as opposed to a two year A level programme. The University Foundation Programme is usually studied over one academic year (a 2 year programme is available) with intakes in September and January. A wide subject choice gives students the opportunity to develop their skills and knowledge in specific subject areas; e.g. Business, Law, Finance, Economics, Medicine, Architecture, Sport, Sciences for Nursing, Art and Design, Maths and Physics and Computing. Within the programme there are a number of mandatory subjects, Core Maths and English. All international students wishing to apply for a UK university place take IELTS in preparation. The Foundation Programme has recognised progression pathways to a large number of universities and this qualification will allow students gain access to appropriate degree level programmes. All students have academic and career guidance, together with support in their (UCAS) university application. Kings, with Colleges in Brighton, Oxford, Bournemouth and London, provides a range of Foundation programmes which are designed to help international students transition between studies in their own countries and progression to leading UK universities. Typically Kings students are aged between 17-19. Kings offers a range of ‘pathway’ programmes including-ALF, Kings Advanced Level Foundation (ALF) –this programme is similar in structure and content to A-levels and specialist foundation programmes in Law, International business and Art and Design. Kings Art and Design Foundation programmes support both UK domestic and international students with exploration of creative arts fields and the development of a portfolio for progression to leading Arts schools. On all Kings programmes, students are supported throughout the university selection and application process, ensuring they are aware of the opportunities available to them. Kings has ALF start dates in September and January. Extended programmes for students who require academic, artistic and/or linguistic support in preparation for their chosen foundation programme have start dates in April and June as well as September and January. Navitas is a global education company that delivers an extensive range of educational services to over 80,000 students annually through more than 120 institutions in 31 countries. In the UK Navitas partners with 9 Universities to offer a range of courses aimed at international students looking to transition to UK University courses. 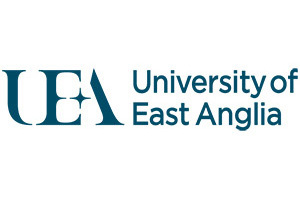 The 9 Universities are; Birmingham City, University of Hertfordshire, Anglia Ruskin University, University of Northampton, Robert Gordon University, Swansea University, University of Portsmouth, Brunel University & Plymouth University. 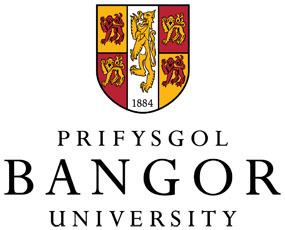 The academic offer varies by University, but most Universities offer; a range of Intensive English Language programmes (6-13 weeks in duration), Undergraduate Foundation programmes leading to Year 1 degree entry at each University, Undergraduate Year 1 programmes leading to year 2 undergraduate degree entry and Pre-masters programmes leading to taught masters courses. Keele, Plymouth, Royal Holloway, Leicester, Sheffield, Surrey & Sussex. Kaplan also runs an international college in Nottingham that offers a Foundation Certificate in Petroleum Engineering, successful completion allows students to enter the second year of 3 engineering undergraduate programmes at the University of Aberdeen. Please note: Kaplan, NCUK & StudyGroup recruit directly for their programmes. We therefore cannot offer independent guidance and support through the application process and so, please do visit their web sites for more information.